Custom manufactured bags delivered direct from our factory to your door with NO hidden charges. Select from our wide range of styles or send us your design. Many types of fabrics and materials available. We specialize in large volume corporate and trade show orders but welcome all inquiries. Contact us today for your custom bag needs! 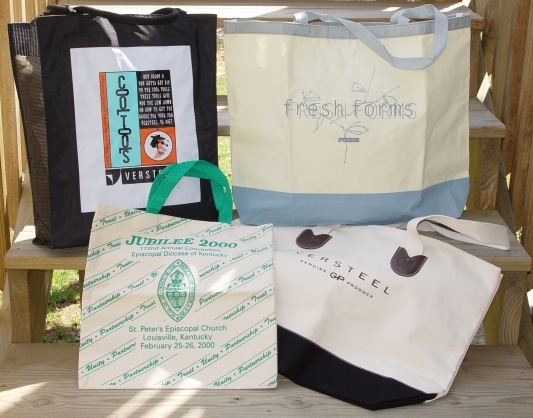 Quality, Custom Tote Bags Delivered On Time, With NO Hidden Charges - Guaranteed!